For over 12 years, Cactus Technologies has been supporting OEMs Worldwide with the highest reliability Industrial Embedded Flash Storage Products using industry leading controller technology and industrial strength flash memory. 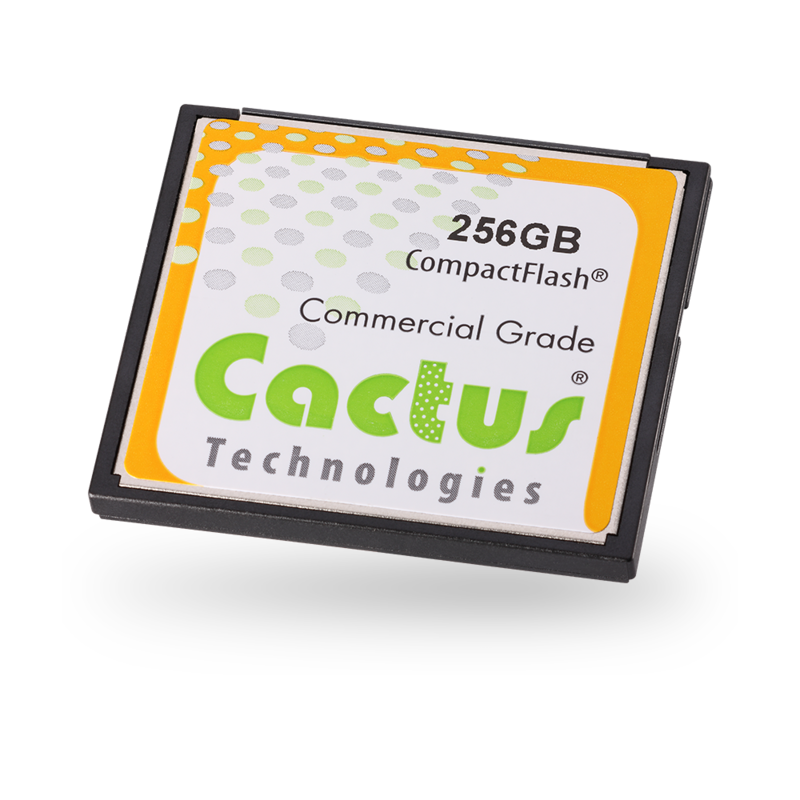 Cactus Technologies just launched a New 240 Series MLC CompactFlash and MLC SD Card with ~30% improvement in sequential read and 50% improvement in Sequential Write speeds over existing 220 Series products. As with all Cactus Commercial Grade products, these cards come with Locked-BOM (Bill-Of-Material), High Performance, Rugged Construction and Advanced Wear Leveling, ECC and Defect Management. 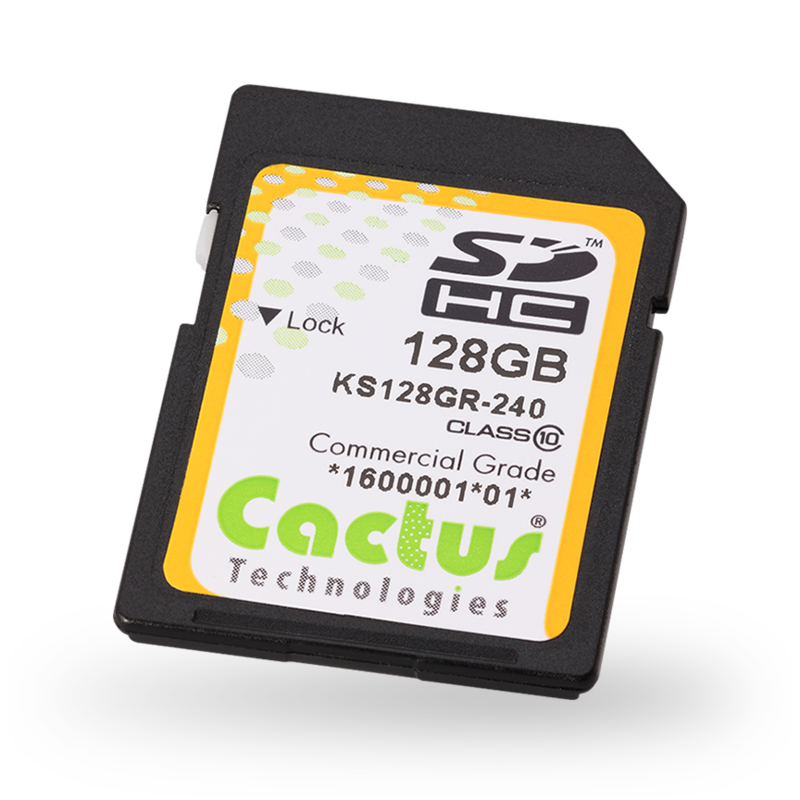 Nuremberg, Germany, February 23, 2016	(Newswire.com) - Cactus Technologies today announced the launch of the new 240 Series Commercial Grade CompactFlash and SD Cards which have ~30% improvement in seq. read and 50% improvement in seq. write than the current 220 Series products. Both the 240 Series CF and SD Cards are based on the latest MLC NAND flash and designed to CompactFlash and SD Association standards respectively. 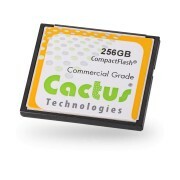 The 240 CompactFlash is offered in capacities from 4GB to 256GB. The 240 SD Card from 4GB to 128GB. These fast and reliable MLC NAND flash storage devices have Locked BOM Control, High Performance, Rugged Construction and advanced Wear Leveling, ECC and Defect Management. Product Change Notification to the OEM of any design changes in the controller, memory or firmware is a standard Cactus policy. For more details, please contact a Cactus representative. For over 10 years, Cactus Technologies has been supporting OEMs Worldwide with the highest reliability Industrial Embedded Flash Storage Products using industry leading controller technology and industrial strength flash memory. Our Industrial products enable OEM’s systems to operate without a fault in the harshest and most mission critical environments. In addition, Cactus offers Commercial Grade embedded products based on MLC NAND, which have Locked-BOM and Extended Life Cycles for budget limited applications. 1 MByte = 1 million bytes; 1 GByte = 1 billion bytes; 1Gbit = 1 billion bits. Cactus Technologies and the Cactus logo are trademarks of Cactus Technologies, Ltd., registered in the U.S. and other countries. Other brand names mentioned herein are for identification purposes only and are trademarks of their respective holder(s). Sign up for email updates from Cactus Technologies.